The monument is situated in the centre of the Paseo de Jaume I. It was erected in 1965 in memory of King James I, who sailed from the port of Salou in 1229, to conquer Majorca. Initially this was a chapel with a single nave and a simple bell tower and belfry and used, above all, by the people of the sea. It was blessed in the year 1766. In different periods, between 1930 and 1950, the church was extended, therefore giving it its present state of appearance. The Masia Catalana is situated in Carles Buigas Street and is of a relatively modern construction, build in 1974. Traditional materials were used in its construction, which evoke a truly rural ambit. This tower was built in the year 1530 as a watch and defence tower in order to protect Salou from the constant raids of pirates and privateers. It was built to the order of the archbishop of Tarragona , Pere de Cardona in the old district of Barenys. 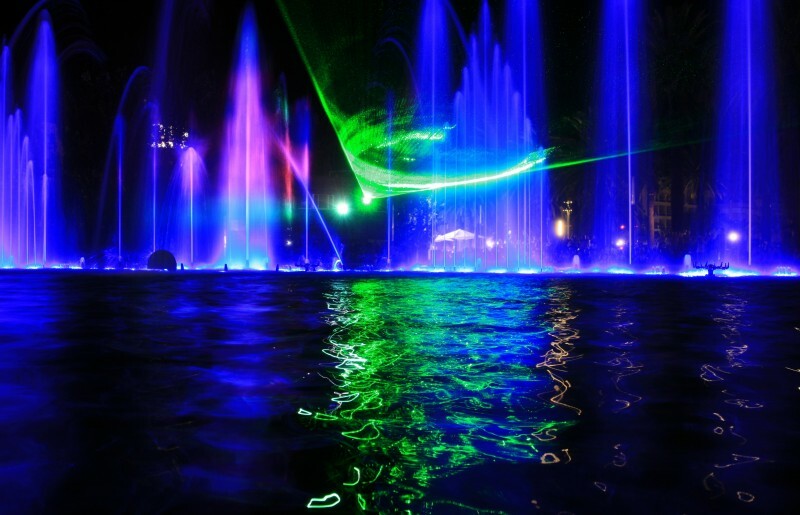 Visitors of Salou can now enjoy the spectacular water show the new fountains at the end of the main promenade Jaime I have to offer. 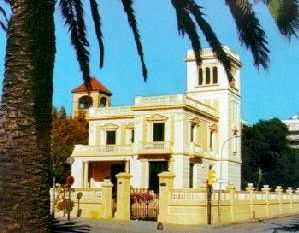 The park in Salou is situated in the Carles Buigas Street . Some years before this site was occupied by a campsite. It has been, however, transformed into a park for the public, with numerous pine trees, plants and flowers an ideal place to take a pleasurable walk or rest for a moment. Walking along the Paseo de Jaume I, we can see examples of the architectural style Modernism that has left such characteristic traces on the houses in the town like, for example, the Voramar Chalet and the Casa Bonet.